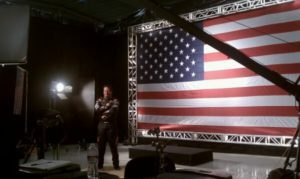 Atlanta Director of Photography on the Big Events… From SuperBowl straight to Daytona 500. 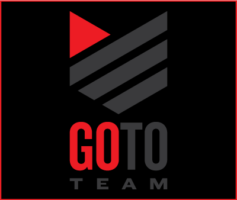 Go To Team Elite Camera Crew & Video Production Crew | Atlanta Director of Photography on the Big Events… From SuperBowl straight to Daytona 500. 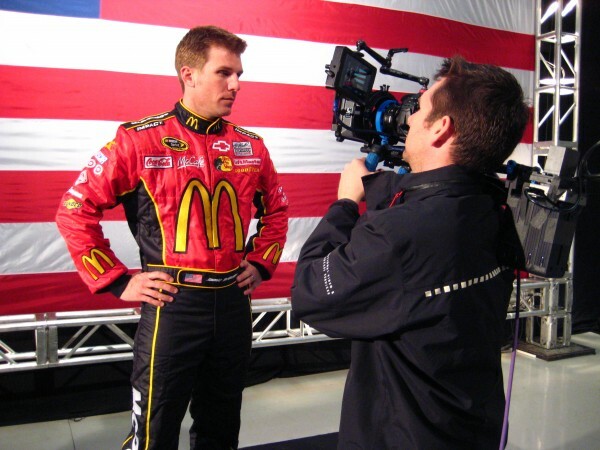 From Dallas to Daytona, Atlanta DP and Apprentice Kevin Juston were on the road again right after finishing up Superbowl 45 and heading to the Daytona 500. In Daytona Beach, Tom and Kevin were in full gear long before the engines roared and underdog Trevor Bayne stole the show during the 53rd running of the Daytona 500. 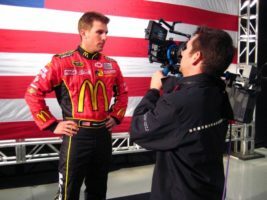 On set in a hangar at the Daytona Beach International Airport, Tom broke out the Canon 7D and his arsenal of prime lenses to capture Nascar’s best posing beneath the red, white and blue. During a break from capturing the action in the pits, garages and on the track, Tom took a spin around the raceway in a Dodge Charger Limousine at over 100 miles an hour with Fox Sports Darrell Waltrip and Chris Meyers for a segment that aired during the Daytona 500 pre-race show. Tom and Kevin also took to the grandstands, along with Go To Team’s Skip Clark, to shoot Dierks Bentley’s performance of the NASCAR version of his hit song “Sideways”.